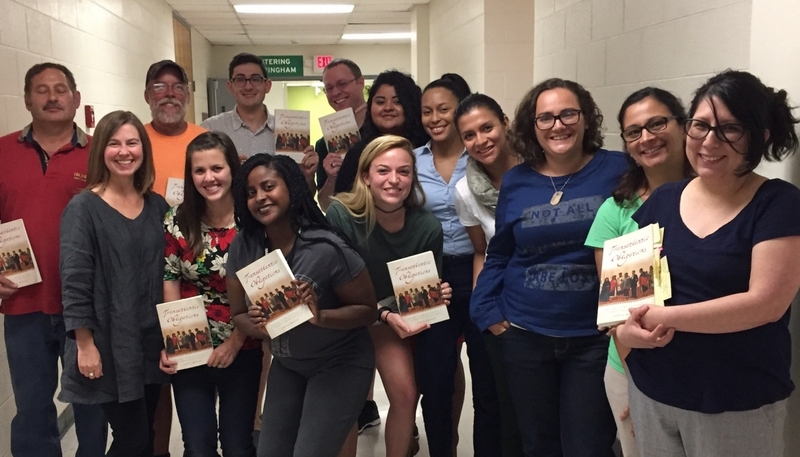 Welcome to Latin American Studies at UNC Charlotte! Our programs utilize a holistic approach that examines Latin America from different disciplines such as history, anthropology, political science, language and cultural studies. The Masters of Arts (M.A.) in Latin American Studies offers the opportunity for a deeper understanding of the Latin American region and community. The two-year program includes courses with a multidisciplinary approach, the choice between two graduation tracks: completion of a Master's thesis or a comprehensive examination. Graduates from the program can develop a career in the academic field, pursue a Ph.D. in the humanities or social sciences, or acquire a position in public, private, or non-governental institutions related to the understanding, analysis, and development of the Latin American region. The program leading to the Bachelors of Arts (B.A.) in Latin American Studies is an excellent foundation for graduate study in the humanities, social sciences, and law, as well as an important qualification for individuals working with the growing Hispanic population of North Carolina, in non-governmental organizations with an international or cross-cultural orientation; and in international business. Study the culture, geography, history, politics, and society of Latin America and the Caribbean. Gain an understanding of the background of the Latino population in the United States. Understand economic development and underdevelopment from a comparative perspective. Gain insight into interdisciplinary work in the social sciences from a variety of methodological perspectives. Improve their writing and critical thinking skills. Combine in-depth training in Spanish and/or Portuguese with the lived experience of speakers of these languages.